Governor Fayose said Acting President Yemi Osinbajo's statement about President Buhari’s health is a lie. 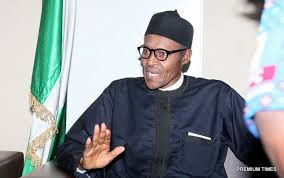 Osinbajo, who visited the President in London on Tuesday, July 11, said Buhari is recovering quickly and that he may be back in the country "very shortly". Speaking to newsmen in Abuja on Wednesday, July 12, Fayose insisted on the President’s resignation, advising him to attend to his failing health. He challenged the acting President to release pictures or a video of his Tuesday meeting with the President to the general public. He said, "If care is not taken, I will release pictures and this will create serious problems for the country. The offices of the governors and the president are that which requires work. If care is not taken, I will release about 11 pictures (on his bad health)", the governor said. The Governor added that Osinbajo should honestly tell Nigerians what he saw when he visited Buhari. Fayose, however, said he is not praying for Buhari's death. But he’d want the acting to show an evidence as proof to the public that the President is really hale and healthy. Pictures have been circulating but Governor Fayose claims that the pictures they are posting on social media are pictures taken a long time ago. “The fact is, the President is sick, incapacitated and he’s not in good condition. The acting President should show us pictures, a short video of his meeting with the President. It is not in the interest of the country that the country will be run in deceit and propaganda. "The visit (of Osinbajo) was diversionary and an attempt to divert the attention of the country. Both the President and his vice do not have what it takes to run the country.